God is reaching hundreds of lives through Seven Church and your generosity is one of the factors in making that happen. We appreciate that! Fellowship One is Seven's main system for tracking membership and giving. Click this button to learn how to access your statement through Fellowship One. MoGiv is Sevens online giving portal. If you give exclusively through MoGiv, click this button to learn how to log on and download your giving statement. Our admin staff can prepare your statement for you and have it ready at the office. Our office hours are 9am-5pm Monday through Thursday. Click the button below to request an emailed statement or set an appointment. Thank you! We will send this out shortly! 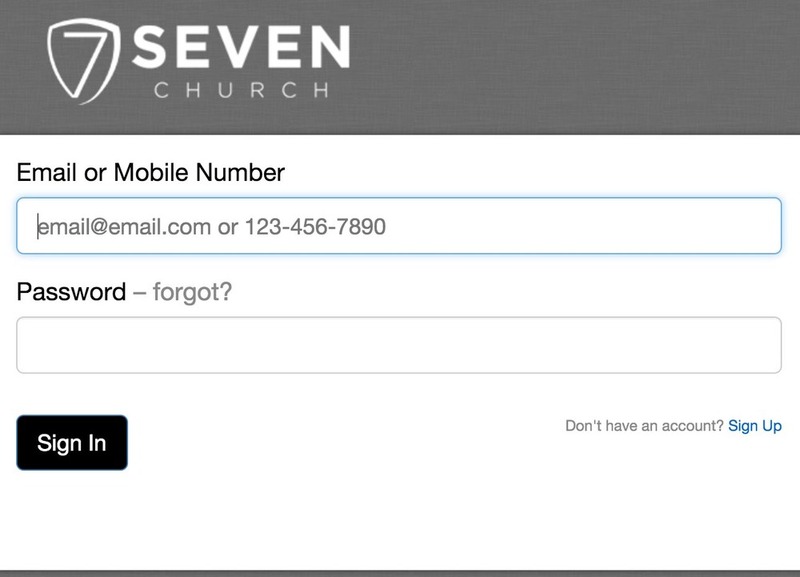 Every attender of Seven has access to his or her giving through our online system, Fellowship One. This is the preferred method because every gift is tracked through this system regardless of how it was given (through Sunday offering, online through MoGiv, or any other way). If you do not yet have an account, click on the "Sign Up" link to get one started. Use the same email address and phone number that you have already given to Seven to track your giving. Sign into moGiv with your user name and password into the "Legacy Account" section. Click the "Export to PDF" link to download your report.